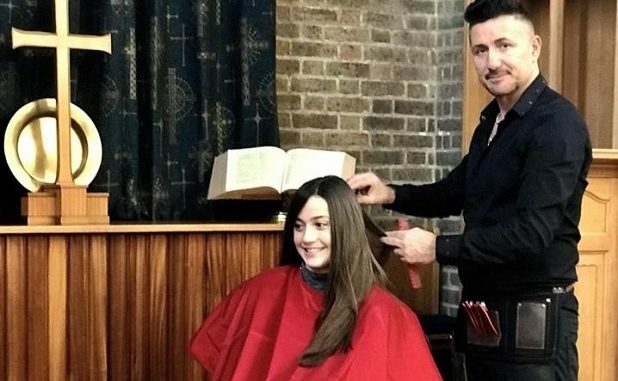 Ramsgate hairdresser Marcello Marino will be offering a cut and finish for a minimum donation of £10 per head at a fundraiser this weekend. Marcello, who has run his business in Ramsgate for a whopping 27 years, raised £370 for Oasis charity after snipping his way through seven hours of charity haircuts at the Addington Street Fair in September. He is now getting his scissors out to raise cash for Ramsgate’s Hardres Street United Church and its Centenary Hall Shelter Project. The church plans to install showers, washing machines and tumble dryers and will also be running a soup kitchen for Thanet’s homeless and famlies in need. Marcello, whose salon is based in West Cliff Road, is a member of the church. He will be offering the cuts at the church on Saturday (November 4) from noon. The church will also be hosting a bric-a-brac sale and indoor barbecue from 10am to 2pm. Thank you for highlighting this work which will help the homeless this winter and thanks to Marcello too for giving his services.